Longmeadow Farm is proud to be the home of Rita Brown and her horse Carlito. Rita is a successful international competitor who has trained many horses and riders through the national level and FEI levels. As well as teaching and training 6 days a week, Rita is also a popular clinician and judge throughout New England region. 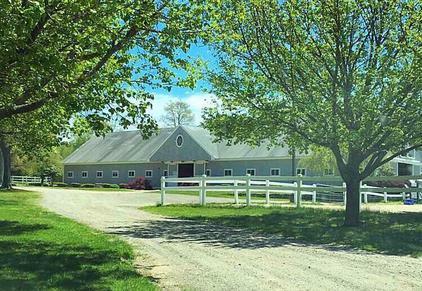 Longmeadow Farm is located just 45 minutes south of Boston in the idyllic seaside community of Scituate, Massachusetts. For years this 25 acre premier dressage training facility has been the equestrian industry’s best kept secret featuring an FEI instructor, a large indoor arena, several individual paddocks and 3 outdoor riding rings. For the past ten years Rita and her training horses head to Florida for the winter months where they can continue to work with top international trainers and have the opportunity to compete year round. Our friendly, professional atmosphere provides a relaxing environment where both you and your horse maximize your learning potentials. So whether you are a Training Level Adult Amateur or striving to ride at the Grand Prix Level, your horse will be happy here and our expert trainers will help guide you on the road to a winning partnership between you and your horse. If you would like more information about Longmeadow Farm and our training services please feel free to contact us.